The idea of being in a b-school always enthralled me. 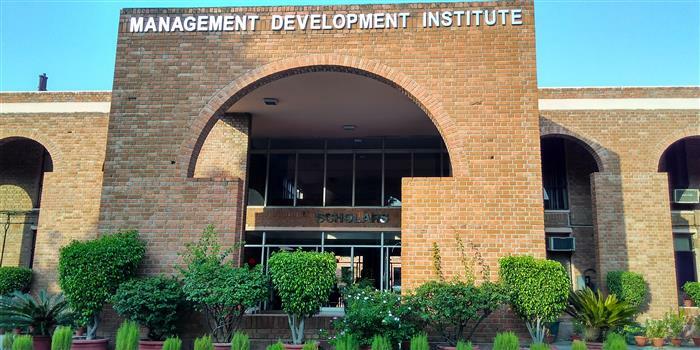 The dream was fulfilled when I got an offer from one the top b-schools, MDI, Gurgaon. The experience so far has been far from amazing. The experience of sharing a hostel with 360 other people, standing in the queue to get a chance to bathe and to eat our food has been something that I have experienced for the first time. The whole batch when we arrived had lot of questions and curiosity around, but our senior batch addressed each and every query with utmost patience and enthusiasm. Now, more than a month since all of us arrived, we have become one big family. Apart from the people themselves, the best thing about MDI is the lush green campus it has. The red buildings and the lawns make you feel out of the world. The environment around is always abuzz, be it any time of the day. With calmness and the serenity in the campus, the mind is always fresh and ready to learn. A midnight walks from the hostel to Sharma canteen for a sip of coffee to keep ourselves awake to complete the assignment within the deadline. The activities in MDI are endless, the cultural fests, business conclaves, many industry leaders coming to enlighten us, sport activities with peers and the classroom teaching. Every activity is designed to add value to the student to help him or she develops the personality holistically. There are many clubs and committees that one can be a part of, wherein you get hands-on experience of managing in varied situations and also get to learn the things you learn practically. Thus, life in MDI in this short time has been absolutely magical. This magic is nothing short of magic offered by Aditya Birla Group’s wing of fashion and retail, which gives a lovely customer experience when visited. The branded apparel sector has been a huge hit among every Indian and is something that every person wants to be a part of. Right from kids to teenagers to adults, everyone has a reason to visit the store and experience being in an ABG store. As an MBA candidate, it would be a dream come true to work in the fashion and retail sector of Aditya Birla Group.